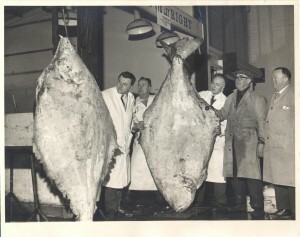 Largest halibuts to come to Sheffield wholesale markets, roundabout 1964-65. To Wm. Bennet & Sons. 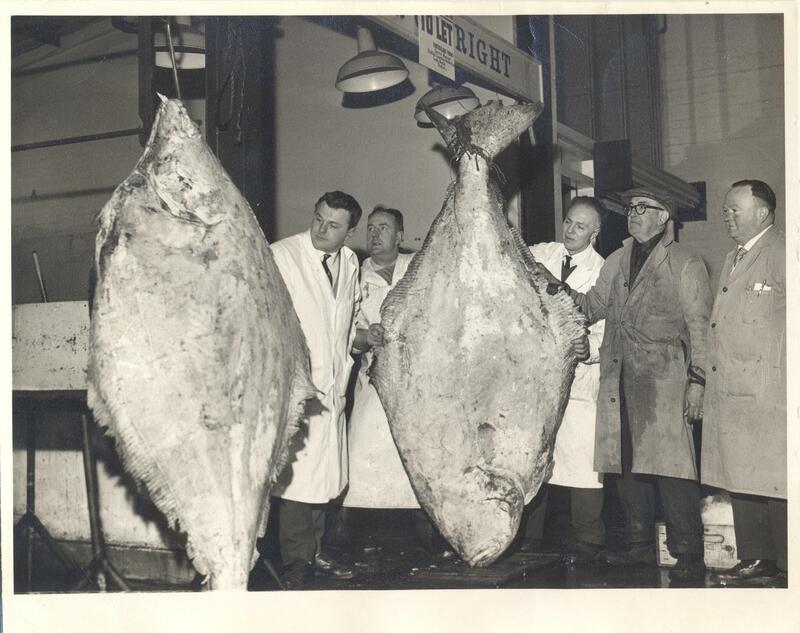 In picture from left John Bennet (owner’s son), Jim Jowel (Fish Manager), my father Clifford Alcock (Poultry Manager), Harold (the Barrow Boy) and Wilf Hammond (Office Manager). Bennet’s had a retail stall, No. 1 Stall, in Castle fish market where I worked part-time. This picture was taken by Sheffield Star photographer. It appeared in the Star with the article.